For whatever reason many people don’t like the idea of meal prepping. It sounds like a lot of work. I don’t know what I’m doing. What are good recipes? Where do I start? The other conception a lot of people have is that meal prepping is for either bodybuilders or fitness fanatics. I’m here to tell you that meal prepping is for smart people who want to save time, money, and eat healthy. It’s actually less work in the grand scheme of your life and it makes eating healthy much easier. So let’s discuss how to meal prep breakfast. Probably a good idea to do a quick overview of what is meal prepping. It is really just as easy as it sounds. Meal prepping is simply preparing some or all of your meals ahead of time. If you’re one of those people who buy the prepared meals at the grocery store where you toss it in the microwave for 3 minutes then peel the cover back and eat, it’s very similar. After all, that’s a pre-made meal right? It’s just that it’s mass produced by a huge conglomerate who do everything in their power to produce mass quantities as cheaply as possible. Which includes less than quality ingredients. Look, I’m sure some of them are fine but the reality is it’s been prepared a while back, frozen, shipped across the country, and delivered to your grocery store where it sits on a shelf for a week before you buy it. Yum. Helps get you moving – Numerous studies have shown that those people who eat breakfast are typically more active in the mornings. Getting moving is good for your day. Get’s your brain working – Having 2 daughters I can’t tell you how many times I heard that I should ensure they ate a good breakfast before testing day. There is a lot of compelling evidence that eating a good meal in the morning sharpens your mental function for the day. Maintains a healthy weight – You know as well as I do that maintaining a consistent and healthy weight is not easy to do. That being said if you get in the habit of eating good food at regular intervals, including breakfast, it will assist you in your quest to maintain a steady weight. Makes you nicer – Okay eating breakfast doesn’t actually make a nicer person. What it does do is help eliminate that cranky mood you tend to get in when you haven’t eaten. You know those times when you bite someone’s head off because you’re “hangry”? I know when you think about how to meal prep breakfast you think it’s a huge pain. If you’re used to not eating breakfast it’s definitely more work than that. If you normally chow down on a breakfast bar while driving it’s harder than that. 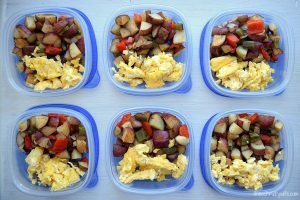 Besides the benefits of eating breakfast in general there’s strong advantages to meal prepping as well. Maybe even some you hadn’t thought of. The price is right – I’m going to share with you my favorite breakfast meal prep recipe shortly. The total for the ingredients costs me less than $10. I can eat this meal the entire work week, 5 days. That’s $2 a day people – talk about a great value. Fuel’s you up – When you eat a healthy breakfast it just gets the day rolling well. You have mental fuel to give your work the attention it needs. You also have fuel for your body and muscles to keep moving throughout the morning. Saves Time – I know the preconceived notion about food prep is that it takes a lot of time. The reality is it takes me 15 minutes to prepare my favorite healthy breakfast, 40 minutes to bake it, and about 5 minutes to eat each morning. It saves me time in the morning before I head out to work. All you really have to do to meal prep is look up a few recipes that look appealing to you and give them a try. Think about what you’d be open to eating for most of your breakfasts. 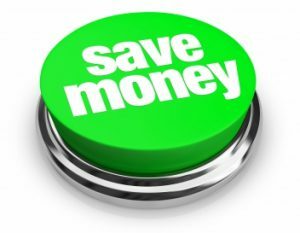 I’ve included links to a few books here that can give you some ideas. These are both comprehensive books aimed at food prep for beginners. A great place to start and chock full of recipes. 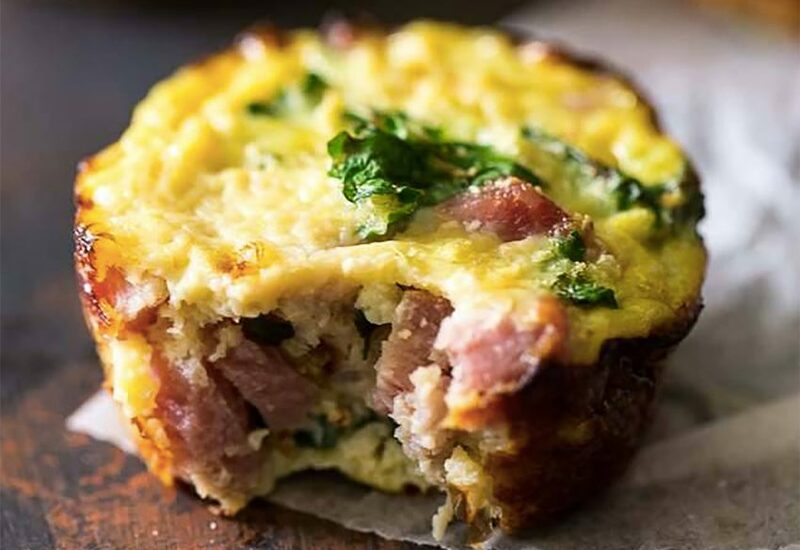 My favorite breakfast to meal prep are frittatas. I’ll put the recipe to my favorite one below in the next paragraph. Keep in mind there’s a bunch of different variations on this that you can mix and match. I typically use 1 meat, 1-2 veggies, some bag or shredded cheese (about 1/2 a bag or 4 ounces) and 8 eggs. When you have a good portion of meat (around a pound) plus 2 veggies the egg basically holds it together, it is not the dominant flavor. To Prep: Preheat oven to 375 degrees. Grease or use Pam in a 9 X 12 baking dish. Cook breakfast sausage in a pan. Cut up Kale, red bell peppers, sweet potatoes, and onions. 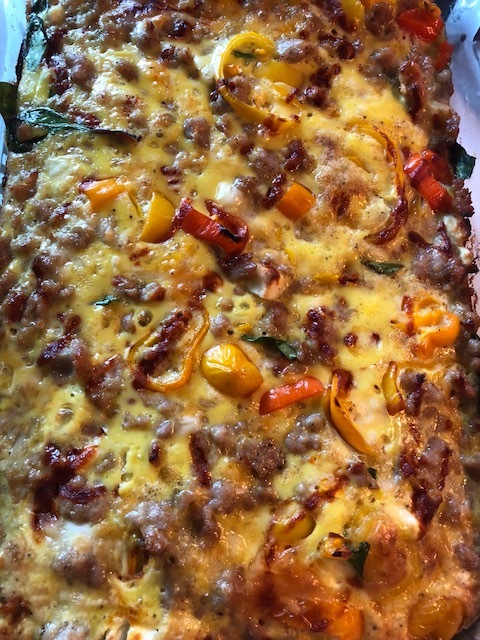 Put sausage, kale, bell pepper, onion, and the cheese in the baking dish. Whisk together 10 eggs and seasons with salt and pepper. Pour the eggs into the baking dish and mix it all together well, season with more salt and pepper. To Cook: Put baking dish in the oven uncovered on the center rack and bake for 35-40 minutes. Test by poking a toothpick and ensure it comes away clean. Finish: Let it cool then cut into how many pieces you want for breakfast for the week. And that’s how to meal prep breakfast – enjoy! Wrap up – like a meal! There you have it – that wasn’t too hard now was it? You’re going to the grocery story anyway so just buy what you need when you’re there. This seriously takes 15 minutes to prep, 40 minutes to cook, and 5 minutes to put into a container and the fridge. Let’s be honest, you can probably get all your cleaning done while it’s cooking too. And when you’re done you’ve got breakfast for the week. Takes a minute to heat in the microwave and a few minutes to eat. Meal prepping breakfast gets you a head start on your week. It’s well worth the time and energy to help you on your eating healthy quest. Now you know more about how to meal prep breakfast – what are you waiting for? Let me know what recipes you try! I totally agree with the meal prep thing! This breakfast looks yummy! 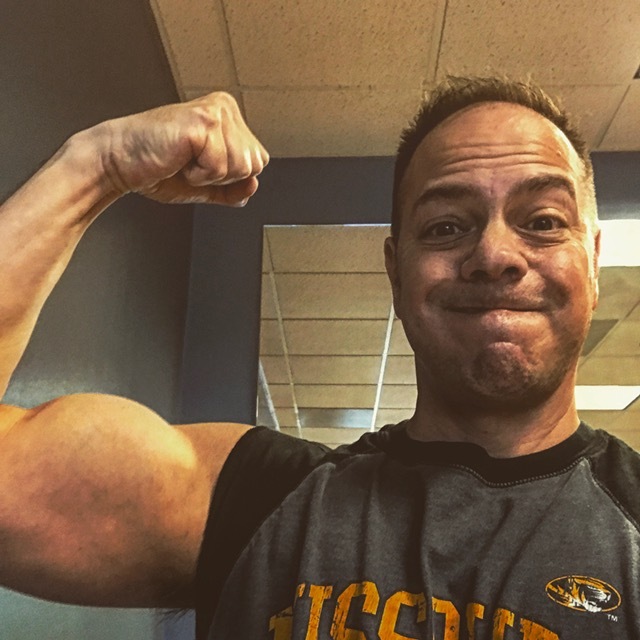 I think anyone who follows a particular way of eating it is even more important to meal prep-especially if you are avoiding gluten as it is not so easy to shove a bowl of cereal down your throat and be fulfilled by it even you are looking for gluten free options. 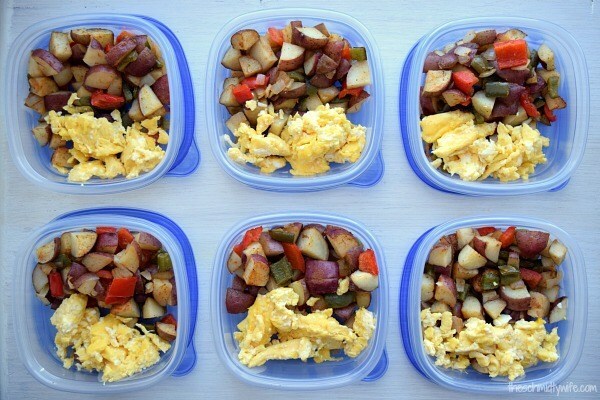 Therefore I think this meal prep recipe is a great idea-make a whole lot of breakfast in one go for the whole week! Great site you have here. Very clear. Thanks for stopping by! I started meal prepping about 3 years ago and have found it to be a great benefit to leading a healthier lifestyle. You are absolutely correct, if you avoid things like gluten it’s even more important. I find breakfast in particular to be a great meal to prep ahead of time. Thanks again! !